The lawyer acting on behalf of Fiji First parliamentarians, Devanesh Sharma, tried to get the Suva High Court to delay court proceedings because one of the respondents of the petition, the Prime Minister, Frank Bainimarama was out of the country. He told the court that while the court has made the order for the petition to be advertised in the newspapers, the petitioners should be aware that one of them is out of the country. Justice Kamal Kumar responded saying the advertisement in the newspapers today means that everyone has been served, whether they're in the country or not. 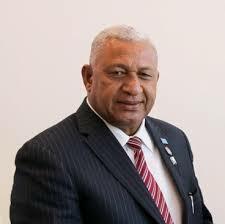 So where in the world is Frank Bainimarama? We invite you all to try and find out where he is by posting photos of him and his family or any other information you can find. 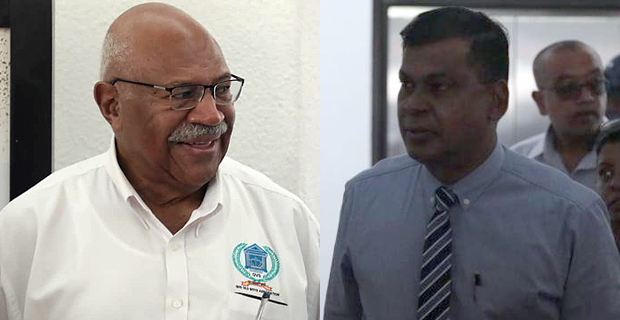 The Suva High Court has allowed SODELPA and NFP to place an advertisement in the two newspapers of the election petition that was to be served to Fiji First MPs and Faiyaz Koya. The High Court judges have said that once the adverts are published, it will be considered served. Fiji First parliamentarians have locked themselves up at Suvavou House since Tuesday to avoid being served. The High Court judges say the hearing will begin next Saturday and could go on for up to 21 days, including weekends and Christmas/New Years. Frank Bainimarama being a candidate for election in the General Election was guilty of an illegal practice in that on or about 29 october 2018, in Rotuma, with his knowledge and consent a government employee (his driver Kepani a public officer) conducted campaign activities – distributing t-shirts and sulus bearing the logo of Fiji First – a breach of s.113(2) of the Electoral Act 2014. Fiji First banners were affixed to fences and buildings at Rotuma Airport – a breach of s112(3) of the Electoral Act 2014. Faiyaz Koya guilty of bribery in awarding 1,937 micro and small business grants each in the sum of 1,000 at Subrail Park in Labasa in order to influence the votes of recipients and their dependents or to gain the support for the Fiji first Party, in breach of s.140(2) of the Electoral Act 2014. And there are many many more breaches of the Electoral Act no wonder #FijiFirstLamusona are in hiding! Here is the full petition.